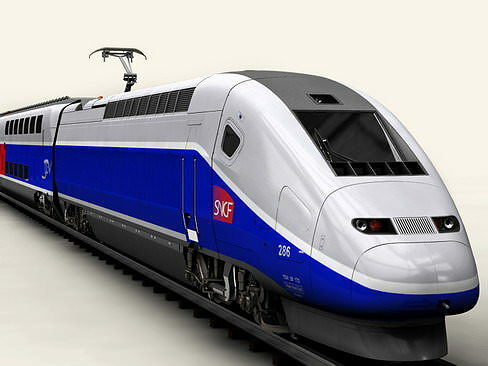 Accurate very high definition TGV Duplex model with detailed bogie and pantograph fully textured. The model includes the locomotive and 2 different wagons. In 3 different resolutions ranging from 460340 to 4985722 Polygons. Locomotive and wagons are saved separately in the different resolutions. In 3 different resolutions ranging from 460340 to 4985722 Polygons. Locomotive and wagons are saved separately in the different resolutions. The lowest poly-version is the SubD. hull. So you can use it easily as SubD in XSI or any Software supporting SubD. In 3 different resolutions ranging from 886134 to 9944028 Polygons. Locomotive and wagons are saved separately in the different resolutions. The size of train is not collect.